32 NGOs, led by prominent left-wing groups, call on Facebook to purge Mark Zuckerberg from board - over attacks on billionaire George Soros. its board for blunders including "weaponizing anti-Semitism." "You retained the services of Definers Public Affairs to investigate, undermine and attack our allies, mimicking the tactics of the worst, disreputable political operatives and hate groups," read the letter. "It's an absolute disgrace that Facebook sought to deflect criticism and discredit advocates by exploiting anti-Semitic campaigns against philanthropist George Soros." 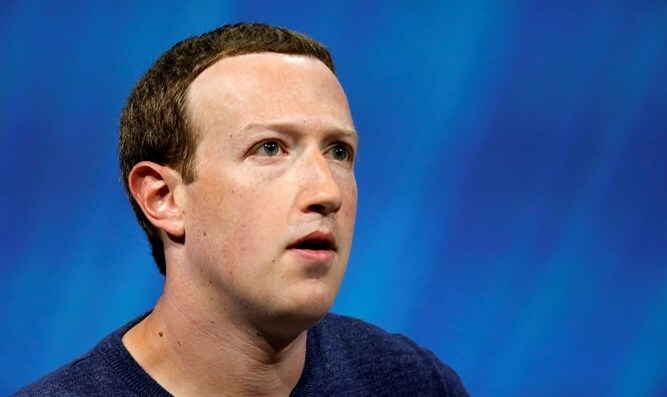 The letter called on Zuckerberg and Sandberg to step down from the Facebook board as long as they serve as top executives, and to expand the board with members reflecting the social network's diverse global community. The letter was sent the same day that the NAACP kicked off a "#LogoutFacebook" boycott of the social network to protest alleged mistreatment of non-whites at the social network and in the workplace. The NAACP called on the Congress to further investigate Facebook in the wake of a Senate Intelligence Committee report revealing that the Russian influence campaign "made an extraordinary effort to target African-Americans." "Facebook's engagement with partisan firms, its targeting of political opponents, the spread of misinformation and the utilization of Facebook for propaganda promoting disingenuous portrayals of the African American community is reprehensible," NAACP president Derrick Johnson said in a release. A prominent feminist and author with strong political connections, Sandberg has drawn fire in particular over an embarrassing effort to probe Soros, the billionaire investor, after he assailed the online network as a "menace to society."